We know Fossil have beentoying with connected devices for a while now, and we've finally got more details about them. 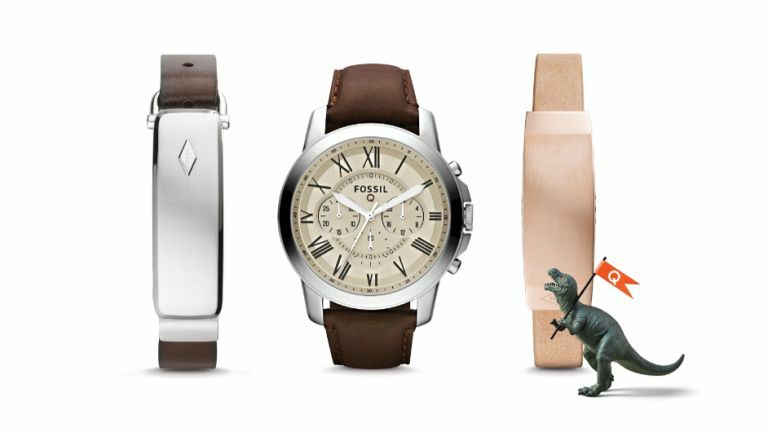 Fossil has actually treated us to a whole range of devices, say hello to the 'Fossil Q' family, starting with basic fitness trackers and ranging up to an Android Wear-powered smartwatch. The range starts off with two stylish looking fitness trackers named the Q Reveler and Q Dreamer. These perform everything you'd expect, including step counting, sleep tracking, and smartphone notifications. We really like the look of these bands, they're certainly a breath of fresh air from the back rubber designs from Fitbit et al. Next in the line is a Withings Activité rival, the Q Grant. It's a ruggedly handsome analogue watch which hides fitness tracking smarts under the surface. Again, it's a great looking device with evokes the Helvetica Mondaine and Runtastic Momentum. Finally, there's the Q Founder, which is an Android Wear-powered smartwatch. It'll come packing a chip developed by Intel and Google, but that's all we know at this point. All devices will work with Fossil's app which features more detailed fitness tracking, customisable notification settings, and, more interestingly, a feature called, "Q Curiosity", which alerts you when it's time to break free from your everyday routine. Can't wait to see how your boss reacts to that. All devices will be available on October 25, or "just in time for the holiday shopping season". Prices start at $125 for the fitness trackers, $175 for the Q Grant, and $275 for the Q Founder. Which, if the UK gets a direct price conversion, is very reasonable.